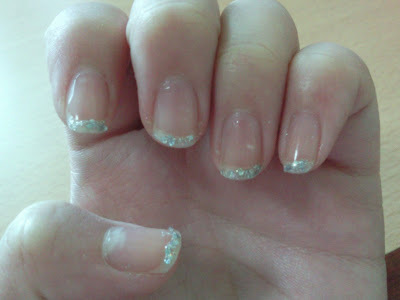 The top white tip of the nail is actually glittered. Looks super pretty in real life. Going out for the Christmas Celebration @ Ichiban ltr.